I believe that individuals can learn in many different ways, and that there is more to success than just intelligence or hard work, and I approach teaching with this understanding. Students can excel in my classes if they are clever, or if they are hard working, although I try reserve the highest marks for those who exhibit both intelligence and diligence. In all of my classes I give a diversity of assignments to allow the particular skills of each student to be expressed. For example, I give exams, written assignments, and an opportunity for presentation or group work that may have a creative component, all of which are important professional skills. I have chosen to structure my own career around practical questions of disease transmission, but I recognize that advances in all fields often come from unexpected sources, and I strive to foster a general appreciation for learning in my students. I wish to instill in them the ability to think, not what to think. This is a class designed for non-majors to provide an increased understanding of the role of science in a global society. I accomplish this through the “lens” of infectious disease transmitted by arthropods. Topics covered include epidemiology, infection and infectious diseases, basic entomology, blood sucking insects, important diseases transmitted by arthropods, bioterrorism and the role of the media. To be taught every spring live and in distance-education format. This is a class designed for majors in criminology to provide a basic introduction to entomology and the role of arthropods in solving crimes or settling law suits. Topics include basic entomology, the application of entomology to legal cases, and the presentation (written and verbal) of scientific data in law courts. Overall evaluation (2013): 4.3/5.0. 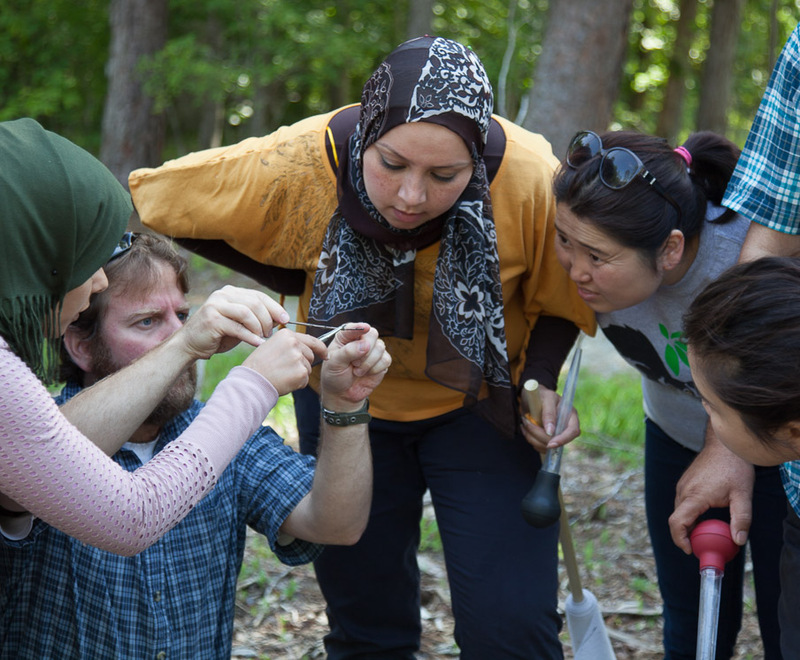 This is a class designed for graduate students to provide a basic understanding of the role of arthropods as pests of human and animal and as vectors of pathogens. Taught with Dr. Wes Watson. This is a class designed for majors in animal science to provide a basic introduction to entomology and the role of arthropods as pests and vectors of diseases in animal production systems. In development with Dr. Wes Watson as a distance-education course.